Im really excited about today's post (I feel like I say this all the time) but truly I am! I have been wanting to make some updates in the mudroom for awhile now but there just always seemed to be another project that popped up. 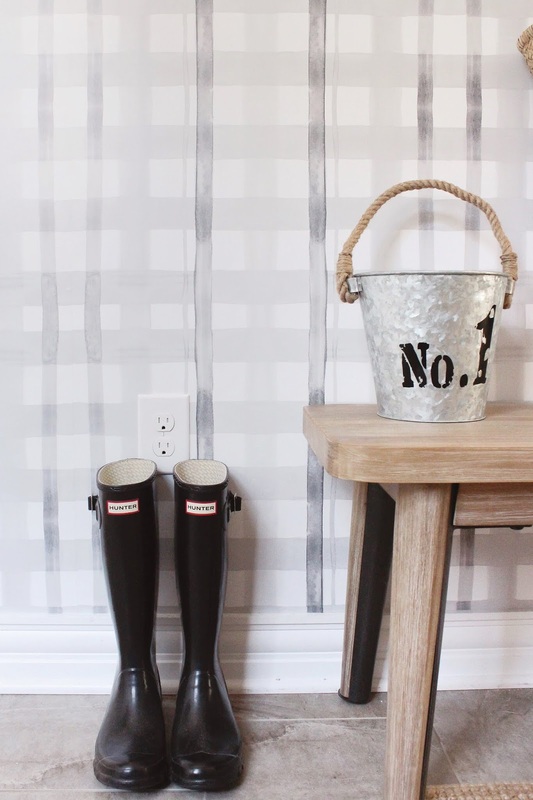 So when Urban Walls reached out to me about their new line of peel and stick wallpaper and wall art prints they were launching I knew it was the perfect opportunity to show the mudroom some love! As soon as I saw Cannes Wallpaper in Sand I knew it would be perfect for this space. It has a little but of a modern rustic vibe to it with the plaid print however where it's in these soft neutrals and hand painted with water-colour paint it gives it this totally unique look that felt just right for the mudroom. It was so easy to install guys, after I got my first sheet up it was a breeze matching up and where you are just peeling and sticking it similar to the decal application it's really simple! I am also loving how the old school VW Watercolour Art from their collection pops against it leaning on the photo ledge. We have some locker cubbies on the opposite side of the room but I have found that were the hooks are positioned at the top of the locker they aren't really practical for my 3 and 5 year old for hanging their stuff up as they can't reach them. I am forever picking up their things and wanted to try and come up with a solution. I used a long photo ledge from Ikea to anchor the space I wanted the hooks to be in to make it feel more purposeful and not like there was just random hooks placed on the wall. This is a great way to fake a bit of an entryway custom look for a quarter of the price. I found these really neat rustic black wall hooks at Kent and knew they would look perfect paired against the wallpaper. 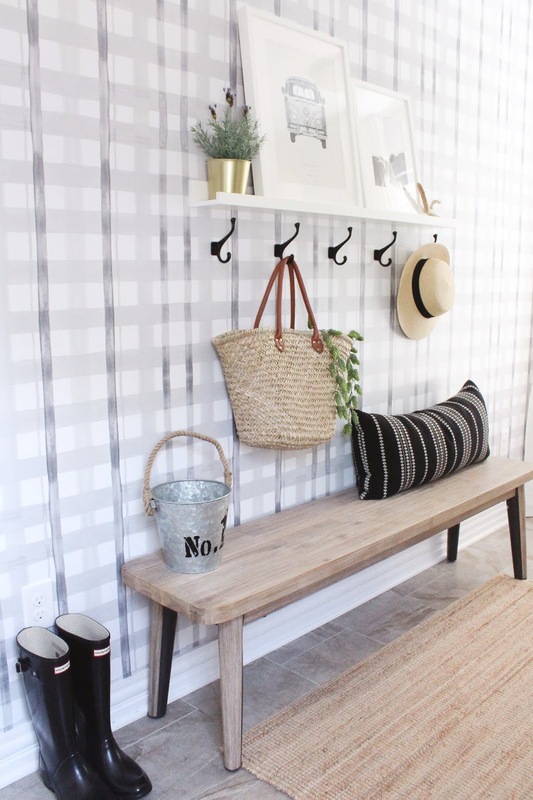 There are still a few more things I want to swap out in the mudroom and change over the next few months (lighting etc) however the space looks a million times better and can't believe how a simple project like an accent wallpaper wall and hooks can totally transform a space! This post contains gifted product from Urban Walls however all opinions are my own. Thank you for supporting this blog and the brands I choose to work with. The new wallpaper looks so great with the decoration. I love how it turned out so much! 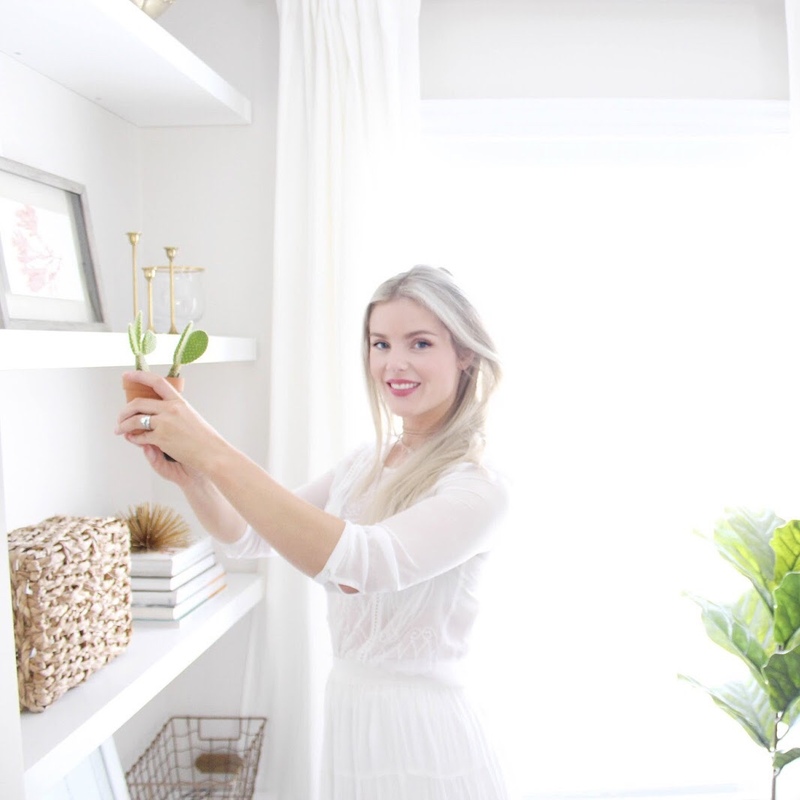 So beautiful and so inspired to redo our mudroom now! Can you share where you got your cute wood bench too?